Location: Podagorsk, near the Finland - Russia border. With the revival of the post-Soviet Russian Federation, the former super-power is once again flexing its military muscle in a display of strength. It has expanded its sphere of influence over many of the breakaway countries that once formed the USSR. Podagorsk is one such place. This narrow strip of land juts out into the Gulf of Finland just to the west of St. Petersburg. Long contested with the Soviets, in the 1920's and 30's Finland built the Mannerheim Line, a narrow defensive zone across the Isthmus, comprised of bunkers, trenches and other field fortifications. During WWII the Mannerheim Line held the Red Army at bay for several months, but eventually Podogorsk fell under Soviet control. Since then it has switched hands several times, but is now designated a de-militarised zone by the United Nations. 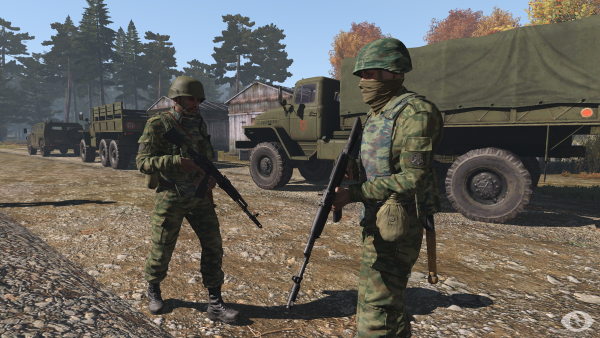 Reports of Russian troops crossing the border have been received in the West. A British force under the NATO banner has set up an FOB on the southern airfield to confront this expeditionary force, supported by a US naval taskforce anchored off-shore to prevent further Russian reinforcements arriving by sea. In recent days, this FOB has been heavily shelled by artillery, suggesting the Russians are moving ever further south. Is it already too late to stop them crossing the Mannerheim Line once again?